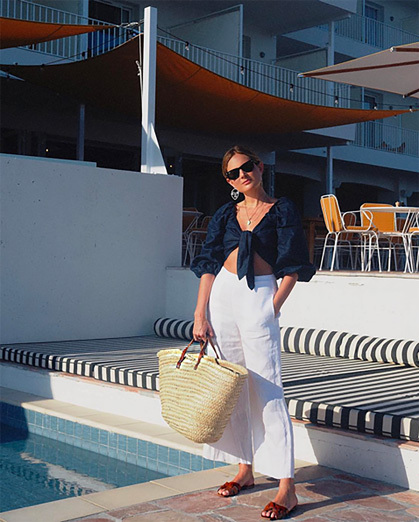 Typically summer and white jeans go hand in hand, but for me, I'll be doing something a little different and (arguably) more stylish: white linen trousers (pictured above, also available here). The high waist-flared leg-cropped hem combo is right on point this season (read: fresher looking!). I also like these iterations from A.L.C., Topshop, Helmut Lang, and J.Crew.